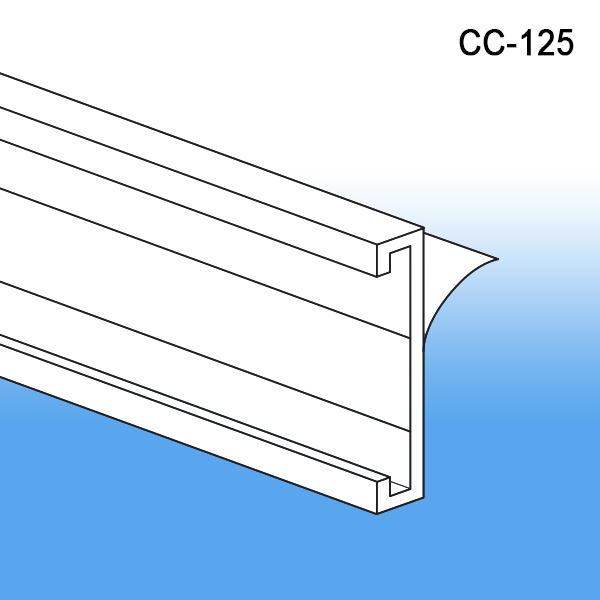 Minimum quantity for "1 ¼" C-Channel, CC-125" is 25. 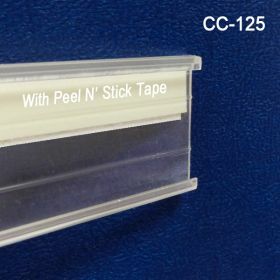 Need our Stock Colored or Custom Printed Price Channel Strips? Just click thru provided links. 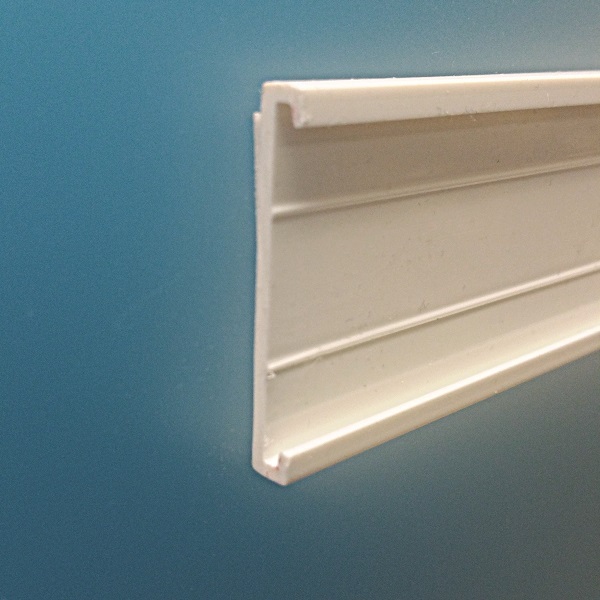 Need 2" to 3" wide Chips? See them on this page, just scroll down once there. Our C Channel adhesive shelf molding strip will transform ordinary shelf edges to marketing "extraordinary" by providing needed flexibility with the new addition of having a shelf edge price channel. 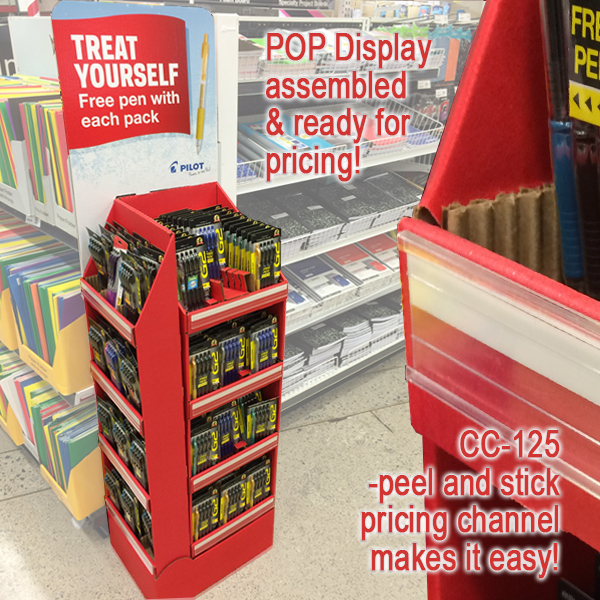 This allows a store operator to add shelf edge sign holders creating shelf talkers, pricing labels, color coded price channel strips and chips, and more marketing options in this critical part of the consumer purchase journey. In-Store marketing creates impulse sales, ones critical to your bottom line.